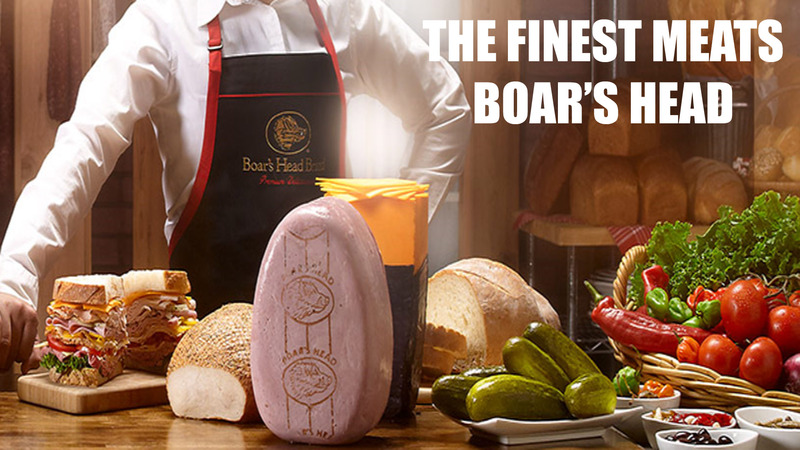 Boars Head Brand Premium Deli Products Are Available In Our Deli Department. We Slice Fresh, While You Wait. Quality meats and cheeses sliced fresh (in front of you), just the way you want it. Not sure if you would like an item you see; ASK FOR A SAMPLE. Our Deli case employees are there to please you! Service, quality, and freshness will be found every day at the Deli Service Counter. Try one of our ready made fresh sandwiches or take home a salad for the dinner table. We offer more variety of fresh salads than anyone. You will love the home made tastes! Ask for a party tray for your next food event. We feature our Boars Hears Premium Product on our tray. Are you in the mood for a freshly made salad? We have some great ones for you to try! Apple salad, pistacho salad, tuna and chicken salad, ham salad, and orange cottage cheese are just a few that we make for you to enjoy.